As Jews the world over mark the beginning of a new year-long cycle of Torah reading following the holiday of Sukkot and Simchat Torah, a newer, unexpected group of Torah students is gearing up to do the same: Christians seeking to return to the roots of the Hebrew Bible based on teachings available at the new website www.TheIsraelBible.com. Dennis Wenzel, a pastor at the Immanuel Lutheran Church in Plymouth, Indiana, became interested in Torah when he returned to seminary in 1979. His wife, who worked as a secretary at a Jewish synagogue, introduced Wenzel to the congregation’s rabbi. A friendship grew and the two spiritual leaders began to read and comment on each others’ sermons. 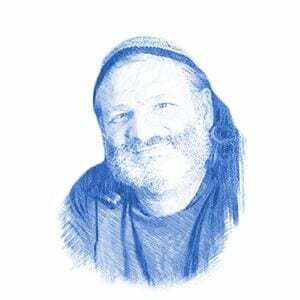 “I have been reading the weekly Torah Portions for about a year and a half,” Wenzel told Breaking Israel News. 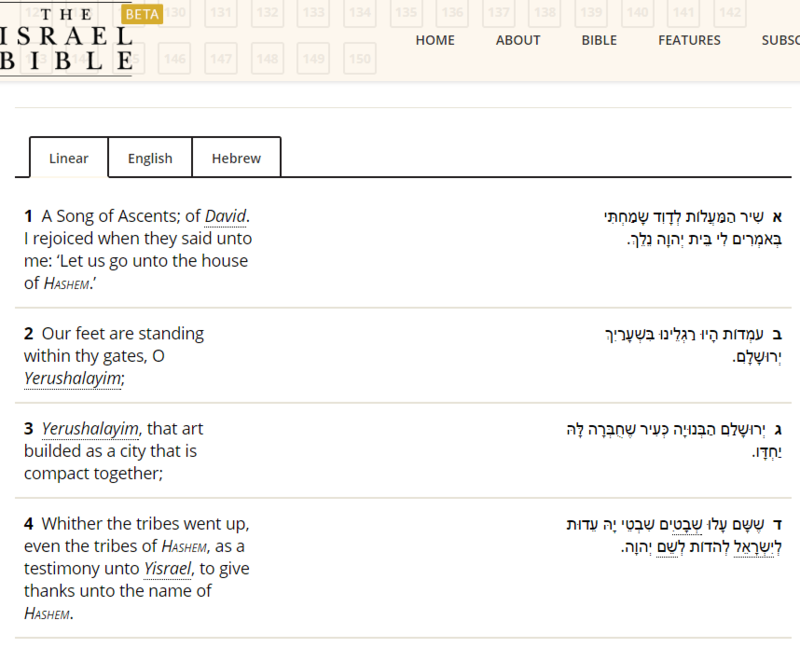 “I read them off the website in English, but the Hebrew appears as well.” The Israel Bible website offers side-by-side English and Hebrew text along with an audio player with the entire Bible being read in Hebrew. Wenzel appreciates the commentaries available online, and the organizing of the weekly readings into daily segments. He occasionally watches the portion being read on a weekly Shabbat service televised on Jewish broadcasting and learns online. He connects with Israel via the media and social networking, but his interest is not specifically to come closer to Judaism. “My spiritual journey has led me into seeking further and deeper truth of Creation and Hashem (God),” Wenzel stated. Jewish custom is to read the Torah publicly three times each week: an abbreviated reading during the morning prayers on Monday and Thursday (market days in Biblical times when Jews gathered in the urban centers), and a complete reading of the weekly portion during the morning prayers on Shabbat (the Sabbath). A one-year cycle of readings completes the entire Torah. As such, the Torah is divided into 54 portions with each parsha (portion) named for its first word. Though this is a distinctly Jewish practice, many Christians are beginning to base their Bible study on the Jewish cycle. Juanita Bequeath from Ohio began studying the Torah about 20 years ago. “We are a ministry of young oxen, called out from a number of different Christian denominations to get back to true Christianity … which of course is Torah,” Bequeath explained to Breaking Israel News. The internet offers her a variety of Jewish sources, but for understanding the Hebrew, she uses a variety of dictionaries and lexicons. “We also study the meanings of the letters,” she added. Reverend Charles Hopper, a non-denominational minister from Texas, has adopted this distinctly Jewish practice, using many Jewish sources to aid his study. “They offer a fresh perspective that I might not have seen,” Hopper told Breaking Israel News. Reverend Hopper also uses a Bible software designed to allow Christians to access the original text in Hebrew. This has obvious benefits to Christian Bible scholars, but has an additional benefit. “Learning in Hebrew helps feed my love of Israel,” said Reverend Hopper. 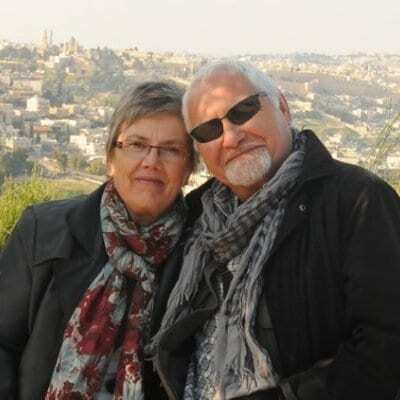 Grace and Richard Knelsen of Winnipeg, Canada also perceive weekly parsha study as a way to connect with Israel. The couple volunteered for Bridges for Peace, a group of Christians supporting Israel and building relationships between Christians and Jews in Israel and around the world, in 2012. This affected their religious practice, and they began to study the parsha with another couple on Saturdays. Two years ago, the Knelsens visited Rabbi Tuly Weisz who presented them with a copy of Genesis from his then yet-to-be completed “The Israel Bible”. The Knelsons have since acquired the remaining four books in the set. “The Israel Bible” was created by Rabbi Weisz specifically because he saw that there was no Bible that highlighted the importance of the Land of Israel, which he considered a serious oversight. “The Bible is universal, beginning this week with the story of the creation of the world, but the real story is the focus on Israel,” Rabbi Weisz told Breaking Israel News. In “The Israel Bible” introduction to Genesis, Rabbi Weisz quoted Rabbi Shlomo Yitzchaki, the preeminent medieval French commentator on the Torah known by the acronym Rashi.